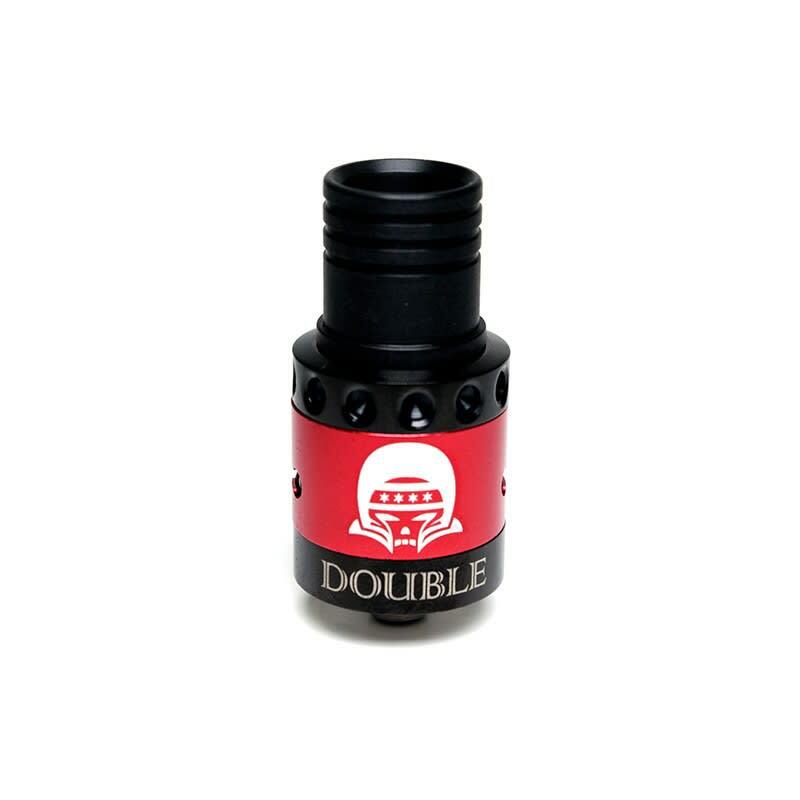 Sorry, Double Vision RDA Authentic by Compvape has been discontinued. The Double Vision RDA is an original and 100% authentic 22mm, 2 posts RDA by Compvape, the manufacturer of the Twisted Messes RDA. The Double Vision RDA is an original and 100% authentic RDA by Compvape, the manufacturer of the Twisted Messes RDA. Made of high quality 304 Stainless Steel, it is the only 22mm diameter, 2 posts RDA to have large enough post-holes to fit any type of builds, including dual alien coils, dual fused clapton coils, and more. In addition to its coil building capabilities, the Double Vision RDA offers a deep 6mm juice well, interchangeable black or red airflow control rings, two building decks out of the box, and a large bore Delrin drip tip. 1x Gift Box "Snake Skin Style"
1x Set of replacement screws, o-rings, and allen wrench. I'm not too sure if it's worth the price. It's great, don't get me wrong.. but I checked around for a lower price and aside from clones and knock-offs it was pretty much 70 bucks everywhere I went. The wells deep, the posts are sturdy and you get an extra deck. I'm not set on the colour, but whatever man.. function over fashion.